A little bit of a different post than normal, but one that I still consider incredibly relevant to our generation. When I was a kid, I was a huge fan of the original Power Rangers, and I still consider myself to be. 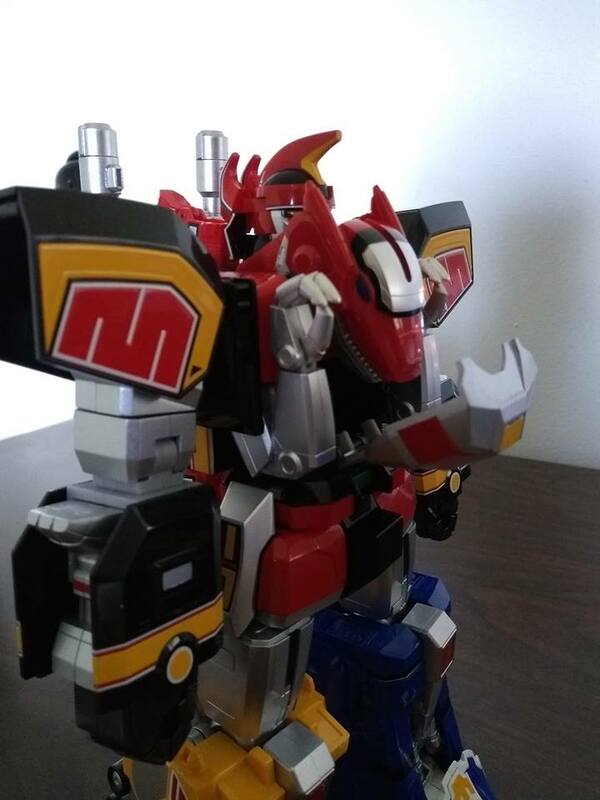 I've even met two of the original Rangers in my life, Walter Jones and David Yost, and even though I've been a fan since 1993, I only recently got my hands on the Megazord. I wanted one even back in my young days, but it just never happened. I'm kind of glad, though, because the quality of the original toy was very cheap and not show accurate. However, the one I recently bought from the Soul of Chogokin line, is the best quality ever made. Moving on to the point of this post, I was thinking a lot about my own generation, The Millennals, and what influenced us as children. The Power Rangers were extremely popular in the original days. Fans turned entire roads into parking lots to see the live shows with the actors on stage. But what struck me most about my generation is how incredibly tolerant and accepting we are of other people and diversity itself. We are, without a doubt, the least racist, and the least prejudice generation ever in the history of the United States of America. We are also the most community and socially minded individuals ever in the country's timeline. Why is that? Well, I think it's, in part, because we grew up with things like the Power Rangers. Here was a team of very diverse people. Black, white, Asian, male, and female. They were all different and unique in their own personal ways as well, and they never asked each other what their religion, politics, immigration status, or sexual orientation was. They all worked together as a team. This team effort was demonstrated nowhere better than their zords. Most often, the monster would be too hard to fight as individuals, so the Rangers would bring all of their zords together into one giant fighter, the Megazord, and only then would they win the day. The Rangers taught us the value of diversity, that we're all human and valuable in our own ways, and that sometimes, one person cannot do it alone. It takes the community coming together for the greater good, and that we are strongest and most successful when united. And, most importantly, that we do better as individuals when everyone around us does better. When the community benefits, we all benefit. Had the Rangers been selfish individuals who only looked out for their own personal gain and glory, they would have lost. We don't often think about our childhood superheroes influencing us in the adult world, but many of our values were learned in the former, ingrained into us from the time we were able to comprehend. The Power Rangers helped raise the Millennals into the wonderful people we are today. The fact that we are the most educated generation also helps a great deal, of course. It's hard to be ignorant when you are filled with knowledge. But I think our path to an open mind started in our early stages of life.